Is asbestos a public health problem largely confined to the past? The answer is absolutely not. Indeed, deaths from asbestos – which already exceed those from road accidents each year – are unlikely to peak until 2016. Even then, there are concerns that the level could rise further if the public are not made aware of the potential ongoing risk of asbestos in places of work, premises they may visit and even their own homes.The fact that asbestos ceased to be widely used several decades ago when industry came to appreciate the serious dangers it posed, together with the banning of asbestos in all of its forms in 1999, may lead people to think – quite mistakenly – that there is no longer a need to be aware of or manage asbestos, at least outside certain professions.It’s true that former workers in heavy industry and shipbuilding in the 1960s and 1970s are the most strongly represented group among those to be diagnosed with asbestos related diseases in recent years. But it is also true that many tradesmen and maintenance workers from the 1960’s up until this present day have been and still are being affected by this hazardous material. Today’s workers benefit from much more stringent workplace regulations. However, this ignores one last setting in which people today could still be exposed to asbestos: the home.The widespread use of asbestos in construction for large parts of the 20th century, on account of its great affordability and heat resistance, led to its use in cement, insulating boards, and even as insulation for wall cavities, pipes and ceilings. It took several decades for people to notice a rise in lung diseases – including pleural plaques, asbestosis, lung cancer and the aggressive chest cancer mesothelioma – in connection with exposure to asbestos fibres.With asbestos fibres often lying dormant in people’s lungs for as long as 50 years following initial exposure, and the symptoms having much in common with various other conditions, spotting mesothelioma often takes too long to save lives. Such clear dangers presented by asbestos only make it all the more important for people to be made aware not only what asbestos is, but also where within the home it may be found.Asbestos was still a routinely used building material when millions of the UK’s present homes were being constructed, and it could still represent a serious health hazard if disturbed – such as by those undertaking DIY. According to a British Lung Foundation survey of 2,000 adults several years ago, 67% said that they could not confidently identify asbestos around the home.However, nor should people feel alarmed or panicked. 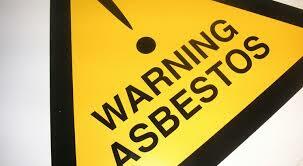 Asbestos that is in good condition and that does not need to be removed is best left alone. Any homeowners unsure as to the status of asbestos in their home are also welcome to contact Trident Surveying for further advice on how to manage asbestos.